Draw a basic food chain. Be sure to include arrows. 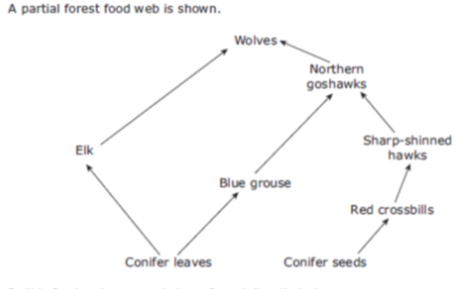 Identify at least one four step food chain from the FOOD WEB above.